The war against gluten, the problem with bacon, teens and social media, a sad kid at the zoo and apple season all caught my attention this week. 1. It's no secret that wheat and gluten are out. We hear about a new book or diet on a daily basis extolling the benefits of cutting out carbs and reducing our sugar intake. But the latest in gluten-free news is the claim by some scientists who believe that grains are, in fact, bad for our brains. 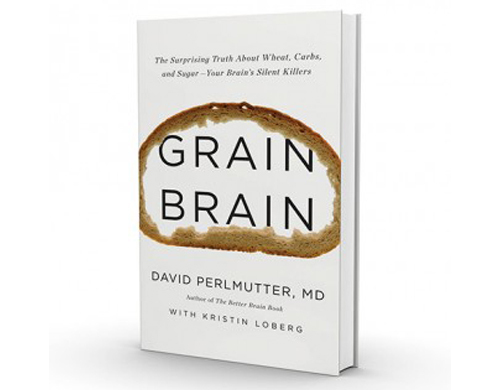 Indeed, neurologist David Perlmutter, author of Grain Brain says we need to pay attention to claims linking gluten to dementia, depression and ADHD. Look for copies of recently released Grain Brain for more on this hot topic. 2. In more bad food news (or should I say bad news in food), I read recently in The Globe and Mail that dads-to-be should not eat bacon or sausage on a daily basis. It's true. Research is showing that too much of the popular pork product can reduce your fertility. But let's step back a minute. Is it safe for anyone to be eating bacon or sausage every day? Maybe a few sprinkles on your maple-glazed donut, gents, but I wouldn't eat the pig every morning, regardless of my fertility count. 3. Enough about food, let's talk about social media -- even though it's sort of like the new junk food for teens these days. When they're bored they snack on a bit of Twitter, or scroll through some shots on Instagram, but for a full-sized meal, Facebook is where there is more going on. I learned a lot about how teens interact on Facebook when I went to their offices in Toronto last week and heard about the steps Facebook is taking to prevent and monitor bullying on their platform. The trouble is that not a lot of kids or parents know about these measures. So next time you're on Facebook, click on your settings and look at the option "how do I stop someone from bothering me?" They have a global safety team monitoring these interactions. It's not difficult to have images you don't want on Facebook taken down -- you just ask. It's also not difficult to report bullying. You can find all the tools you need to communicate with the safety team in "privacy settings." The good news is that kids can do it anonymously, which is a critical piece to reporting bullying. I thought this was good news to know. Let other parents of teens or tweens know so they can talk to their kids. 4. On the topic of social media, I have this picture to share with you and the social media story behind it. This shot taken by a dad outside the zoo is adorable and sad at the same time. 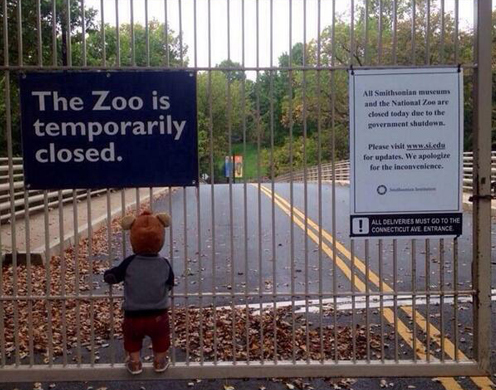 Clearly it was not a successful trip to the zoo (thanks to the US Government shutdown). But, it's the story of an innocent picture taken by a dad who sent it to his wife, who then shared it on Instagram. It was then posted on Facebook by someone else where it was picked up again and posted on Reddit. Within hours, that same picture of the toddler was on NBC's Nightly News. The dad had no idea that his simple action would lead to a national story--and certainly had no control over the situation once his picture was released into the social grid. 5. Finally, let's go offline and talk about nature. I can't tell you how many times I've heard people say that they went apple picking over the long weekend. Which got me to thinking...what are they going to do with all them apples? Easy. Check out what Jan Scott, our genius food editor, posted last week. 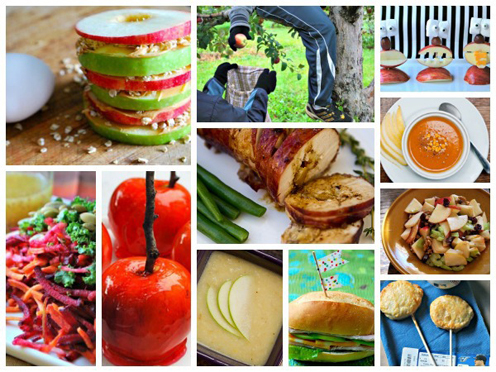 It's a list of 14 creative ways to enjoy apples this season. (Note that 'creative ways' does not mean difficult.) So go back to the apple farm and make hay while the sun shines and the apples are prime for pickin'. These recipes will keep you busy for a while.